Nobody likes to think about the paperwork and documentation necessary to run a business, but your company won’t get far without these practical necessities. Thankfully, for most types of paperwork, this is a one-time process; once you have a core template in place, it will only take a few minor modifications to make it work for almost any business application. Find an online template. Try to find an online template that you can use for free, or an example of a document that you can model yours on. You might also be able to find or make templates in whatever software program you’re using. Adjust the template to your liking. Don’t use the template on its own and assume it will do everything you need it to. Review it thoroughly and adjust it so it fits your business’s unique needs. Put it into practice, and adjust based on feedback. Get things moving by putting your document into practice. You’ll learn what’s wrong with it quickly, and you’ll have the chance to make things right. Of course, for certain types of documents, you’ll want to speak with a lawyer before putting them into practice. Otherwise, you may paint yourself into a legal corner, or unwittingly violate a law. So what types of documentation do you really need? Invoices. The only way to get paid is by issuing invoices, so these should be at the top of your list. FreshBooks has a number of free invoice templates you can use as a base, but you shouldn’t need to make too many modifications. For the most part, a date, an invoice number, a description of each line, and a space for the total are plenty pieces of information to get started. Purchase orders. You’ll also need purchase orders when buying things from other vendors. Depending on the nature of your business, you may need to have these in a specific format, or placed via a specific system. Even if you don’t, it pays to have a consistent format, so you can track your spending easily. Timecards. If you’re going to have part-time employees or contractors working for your organization, you’ll need to use some system of timekeeping to determine rates and ensure you’re documenting worker time appropriately. Timecards are one easy way to do this, though if you’re using time-tracking software, you may be able to handle this automatically. Client contracts. If you plan on entering a long-term engagement with a client, you better have a contract ready. Even single-issue deals, if they’re worth a few hundred dollars or more, are worth establishing a contract. Fortunately, if you’re offering the same products or services to all your clients, you can use variations of the same core contract. Employee contracts. Similarly, you’ll want to have a contract in place for all your new hires. You may want to set up non-disclosure agreements (NDA), non-compete agreements, and spell out the terms of their employment. Meeting agendas. Meetings have the potential to keep your business moving forward, but they can also be a burden on your overall productivity. Establishing a template for a meeting agenda can help you proactively control this, forcing meeting organizers to lay out the goals and structure of each meeting before it happens. Employee handbooks. In addition to contracts, you should have handbooks for your employees, too. These documents will help employees understand things like vacation time, health benefits, and the rules of the workplace, so they always have a convenient resource they can turn to when they have a question. SOPs. For many of your roles, it will be useful to create a standard operating procedure (SOP) document. This will help your employees solidify their own roles, and create a standard document that can be used to train new employees, too. Financial reports. You should file periodic financial reports detailing how your business is performing, and in some cases, you’re legally required to. It pays to have a template on hand for these. Company newsletters. Though less legally serious than the other documents on this list, it can be valuable to create a company newsletter template, so you can keep your investors and customer in the loop about how your business is progressing. 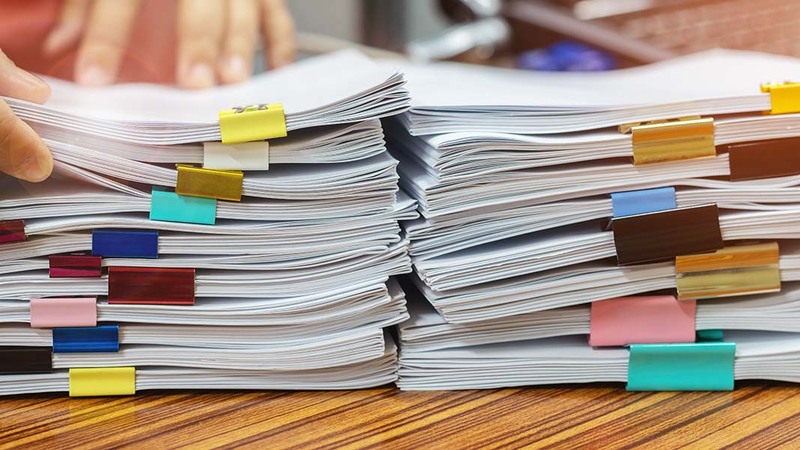 As your business develops, you may find the need for more types of documentation, including terms of service agreements, privacy policies, and more specific types of reporting for marketing or financial applications. While it pays to be proactive, sometimes you simply don’t know what you need until you need it. Stay on top of your needs, and always be ready to change things when necessary. Jenna Cyprus is a freelance writer and business consultant who covers business, technology, and entrepreneurship. She's lectured for several universities, and worked with over 100 businesses over the course of the last 15 years. She's a mother of two kids, and loves to go camping, hiking, and skiing with her family.